What is the difference between an Aftermarket and OEM DPF? When you buy your diesel vehicle it comes with an OEM DPF. OEM simply means “original equipment manufacturer”. An “aftermarket DPF” is a part that is manufactured as a replacement part by a third party and not by the OEM. When you decide you need a replacement, you will need to decide weather to purchase an OEM or aftermarket DPF. The makers of aftermarket DPFs are held to very high standards. The aftermarket DPFs must meet or exceed OEM specifications. The EPA monitors DPF replacement parts. This makes sure the aftermarket DPF works at least as well as a new OEM DPF. Your replacement will meet or exceed the OEM specs for new parts, as long as you choose a replacement DPF from a reputable manufacturer. Aftermarket DPFs are often a much less expensive alternative than the OEM equivalent. 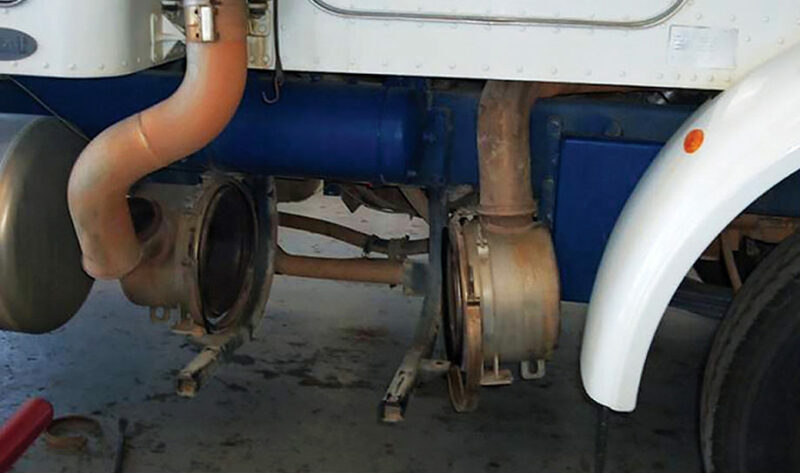 Who makes aftermarket DPF Replacements? Skyline Emissions makes DPF replacements for many medium to heavy duty on highway diesel vehicles. performance is just like OEM parts. duty post 2007 buses and trucks. Due to the growing demand, Aftermarket DPFs are made for every major manufacturer. Replacement DPFs from Road Warrior Inc provide equal to or greater performance than OEM parts. Road Warrior claims the greatest selection of aftermarket DPFs. manufacture a replacement DPF for the US aftermarket with a focus on value. Using OEM standards, each part is built to last. Each DPF replacement fits perfectly for easy installation. Is an aftermarket DPF less expensive than the OEM equivalent? manufacturers focus on providing a cost effective solution that meets or exceeds OEM quality.